The Coen Brothers have a history of making off-beat, humorous, quirky films that explore the dark side of regular people. 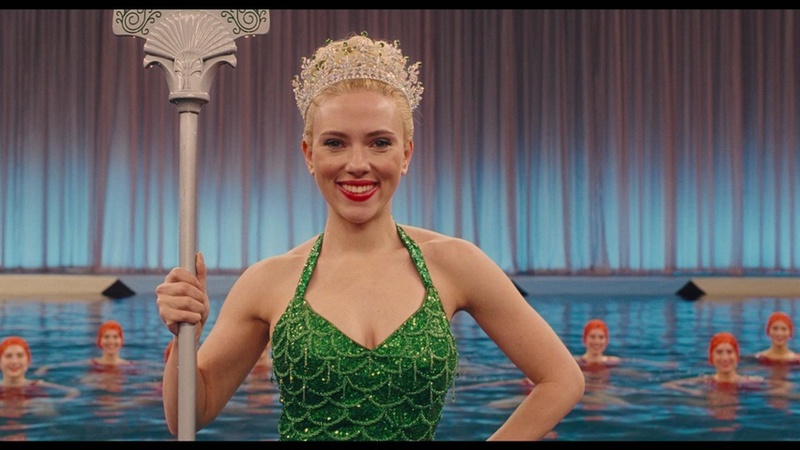 In their latest effort Hail, Caesar! Joel and Ethan lighten up a bit and try to assemble a hodgepodge all-star cast into a sorta-funny take on the big-budget Hollywood studio machines of the 1950's. George Clooney, Josh Brolin and a laundry list of other A-listers form the key players in a story of kidnapping and communist overtones in an era where big name actors are manufactured even more so than today's TMZ-infused entertainment industry. Brolin's Eddie Mannix is the production head of Capital Pictures studios whose tent-pole film of the year is Hail, Caesar!, a Roman epic that explores the crucifixion events of Jesus Christ. Mannix and his studio mates are so concerned with making a movie for the masses that a meeting is held between important religious figures of four major denominations. The outcome of the meeting is not what Mannix is looking for but that scene and several others do a great job of detailing the intricacies and nuances of the Hollywood production process of that era. Brolin is the heart and soul of this movie and watching him work his magic is a by product of his synergy with the direction of two brother that trust in his acting presence. Clooney plays Baird Whitlock, a big name movie star (not much of a stretch for George) who spends the entire film dressed in Roman garb and ends up being kidnapped by a sinister communist-leaning organization that is against big-budget studios taking ownership of creative property. Mannix must deal with the loss of his A-list star and also manage other challenging movie productions in the process, including the task of getting a Western action star (newcomer Alden Ehrenreich) to switch over to more dramatic roles. The biggest revelation I had in watching this film is that Ehrenreich is going to be a big star within the next 5-10 years. He completely nailed the role of fish-out-of-water Hobie Doyle and has an engaging on-screen presence that made him stand out in a cast with such a high acting pedigree. Channing Tatum also chips in playing a key role and showcasing his Magic Mike talents in an over-the-top but well choreographed dance sequence in the middle of the film. The Coens really do a great job of engineering a variety of showcase scenes that represent the types of 1950's films that were being made and marketed to specific audiences. That being said, one of the drawbacks of this film is the overall bloat of this cast. There are some people (ScarJo, Francis McDormand, Tilda Swinton, Ralph Fiennes, Jonah Hill, etc...) that only appear a few minutes more than what you see in the film's trailer. I think the movie would have run more smoothly if the Coens were not trying to cram all these big name stars into the narrative. But really, I should never complain when Scarlett Johannson is wedged into a movie (or a mermaid's tail for that matter). The Coens mean well here and this is probably a film that the Academy may remember during next year's awards season (yet another movie about Hollywood making Hollywood films). I just wasn't as entertained as I am with most Coen Brothers films. Brolin and Ehrenreich own this movie and watching their performances is worth a matinee ticket at least. Unfortunately this film wants to be funnier and more clever than it actually is. 3 out of 5 JRs for a semi-interesting look at the movie studio machine of the 1950's. NOTE: I'm planning on recording the 3rd Annual Arcademy Awards with Omar Latiri on Saturday. Look for a post linking to our podcast later next week in a lead-up to the 88th Academy Awards.